Roughly 85 percent of children diagnosed with learning difficulties have the biggest problems with reading and related language skills. As PBS Parents notes, this is most often due to a neurodevelopmental condition. Reading books aloud at bedtime helps all children develop word mastery and grammatical understanding – the foundations for learning to read. The earlier you start, the sooner they’ll pick it up (even if it doesn’t happen for your child at the same pace it does his or her peers). No. 2. Studies have shown children are exposed to many more words collectively when stories are read to them as opposed to being talked to or with. Language and literacy researchers with the University of California, Santa Cruz concluded picture books are up to three times as likely to include words that aren’t among the few thousand most commonly used in English, compared to the variety they heard in typical parent-child conversations. The experts attributed this to the tendency we all have to “talk with a lazy tongue.” In other words, we frequently use gestures or pronouns, relying on the situational context to fill-in-the-blanks. But some kids with special needs NEED those blanks expressly filled in. Storybooks help flesh it all out. 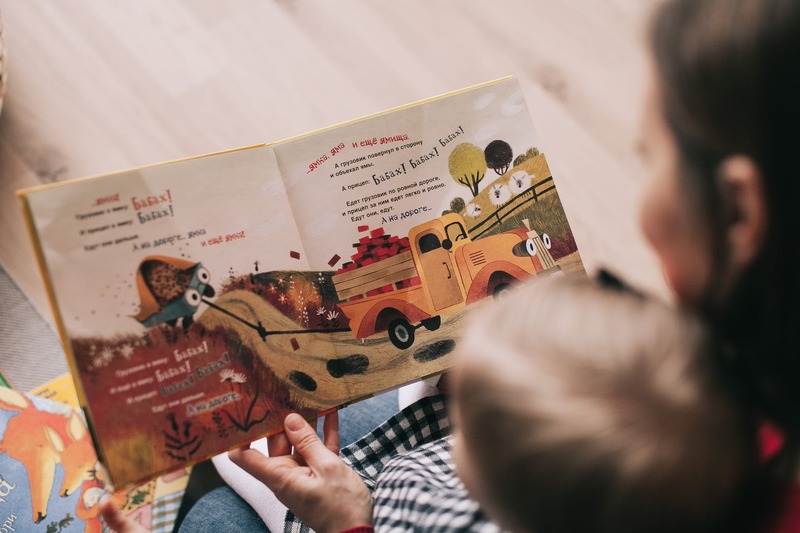 From the perspective of a FOCUS ABA therapist in Fort Myers, regular bedtime stories may actually have the potential to lessen undesired behaviors long-term. Part of that comes with establishing a comfortable routine that allows everyone enough rest each night (so important!). But it goes further. Research published just last year in the journal Pediatrics showed that children who are read to regularly from birth to age 5 have fewer problems with social skills, attention, hyperactivity, aggression and externalization of problems. This isn’t to suggest bedtime stories are a cure-all, and of course impact vary from child-to-child. Still, there is strong evidence to support the assertion there will be an impact and it will be positive – sometimes markedly so. Explain. Many of the kids we treat at FOCUS have thought processes that differ from those of neurotypical kids. They might struggle to understand the mechanics or the chronology or the social contracts “whys” when it comes to things like going to a fair or participating in class or even using the restroom. And as we mentioned earlier, many kids with special needs are visual learners. Bedtime stories give you a chance to pause, explain piece-by-piece the details that might be glossed over or take for granted entirely in the rush of daily life. Encourage Empathy. ABA therapists know empathy can be a tough skill for children on the autism spectrum to master. People with autism DO feel the same things we all feel, but very often struggle with natural emotive displays of that. Stories can model some of these scenarios and help your child know what to expect and how to navigate this with greater proficiency. Empower. This becomes especially important as children grow older, more aware of certain ways they may differ from their peers. A child who struggles to make friends or feels embarrassed they aren’t just like their friends (and let’s be honest – every kid struggles with these issues to varying degrees at some point or another) can be empowered by reading bedtime stories about other characters their age confronted with anxiety or tough social situations. Storybook characters can colorfully illustrate to your child potential outcomes of certain choices and open the door to discussions on how they would or could handle similar hurdles. Several titles are also great for teaching your typically-developing child more about acceptance and understanding of their sibling, classmate or friend who has certain delays or challenges.